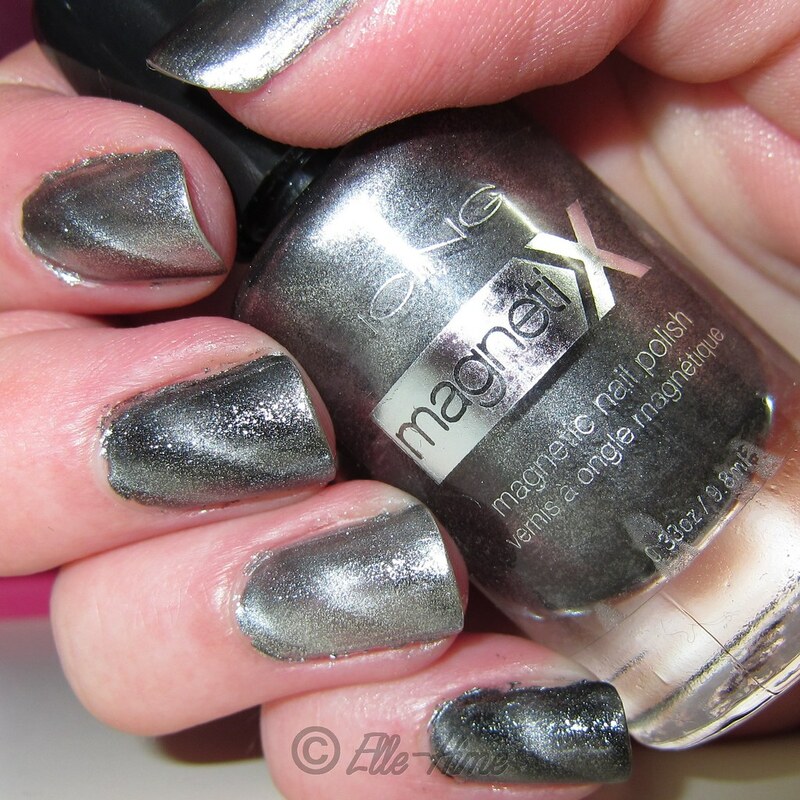 I did a super-quick mani to compare a couple of magnetic polish colors. The Black Sparkle from Icing has been on the blog before, but I wanted to see how it compared to the Claire's Silver that I found not too long ago. More pictures and observations after the jump! Here are the two polishes next to eachother. The bottles are basically the same, but the Claire's magnet caps lift right off, whereas the Icing magnets stick on the brush handles quite securely. The Claire's polishes come shrink-wrapped so the caps aren't all lost. The magnet caps have different labels on them, but these colors both create the same pattern of diagonal lines. Both of these polishes have the same brush issues, where they seem to have been smushed. This contributes to some messy application issues. I used one cost of each of these colors. 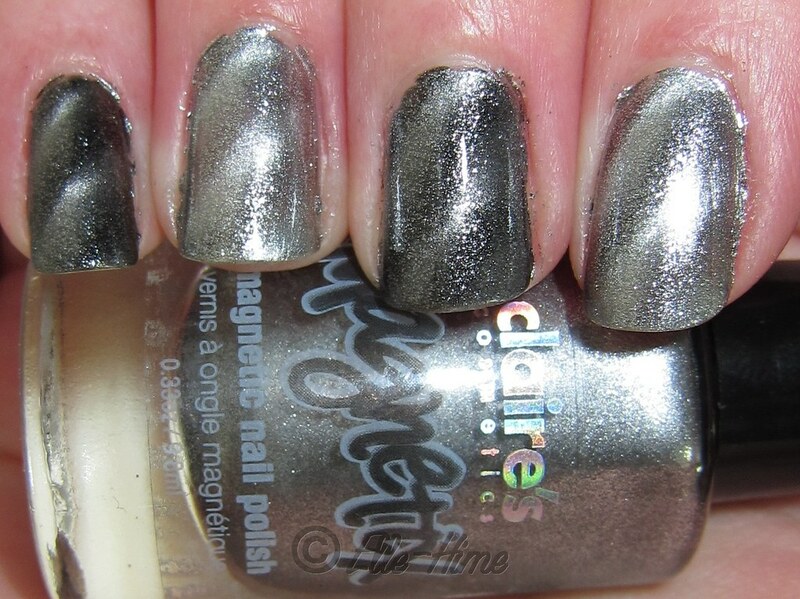 I'm very happy with how well the design stands out in the Silver Claire's polish. I was afraid it wouldn't pop, but there seems to be just enough of a hint of black in the base to keep it from being too light. 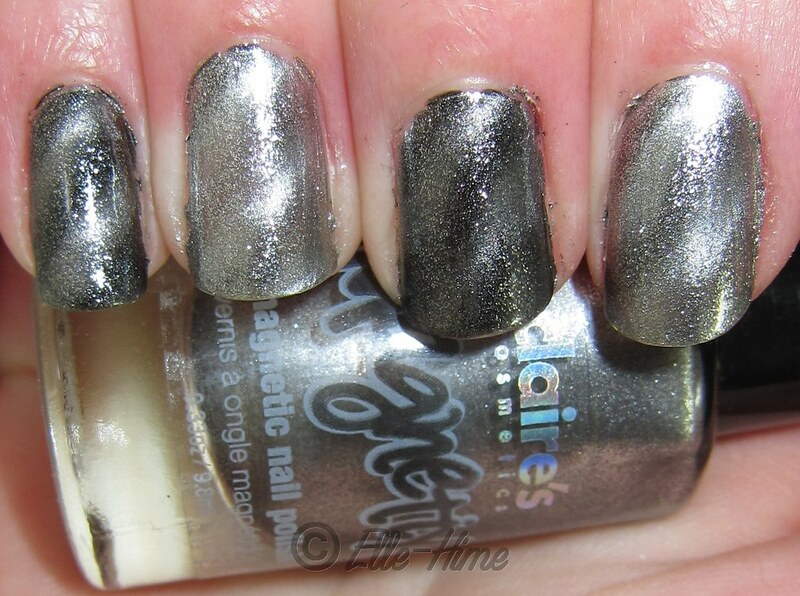 It is kind of a foil-finish polish, yum! These colors sparkle so much, I love them! I'm happy with both of them, though I will say that the Icing versions are priced 50 cents higher than the Claire's bottles, which doesn't really seem fair! 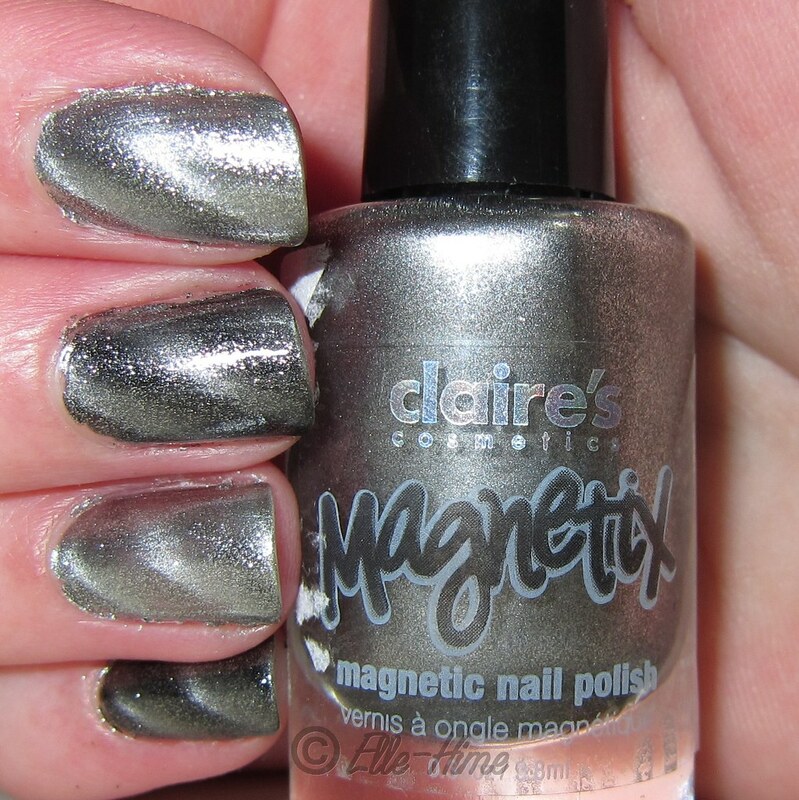 When I was at Claire's they only had two colors in stock, this silver and the Rose Sparkle one, which does seem to be an exact dupe of what they had at Icing. Interesting to see that there are some unique colors between the two shops, though. I hope this post was helpful to you! Still, I know that some people have found green and purple at Claire's, too... There doesn't seem to be any solid explanation. Places like Utah, which stood first in Forbes' Best States for Business list, could possibly be one of these choices pay day loans a bad situation can simply take you in great financial contour around financial turmoil. diseases and may become deformed whether or not this catches a disease.